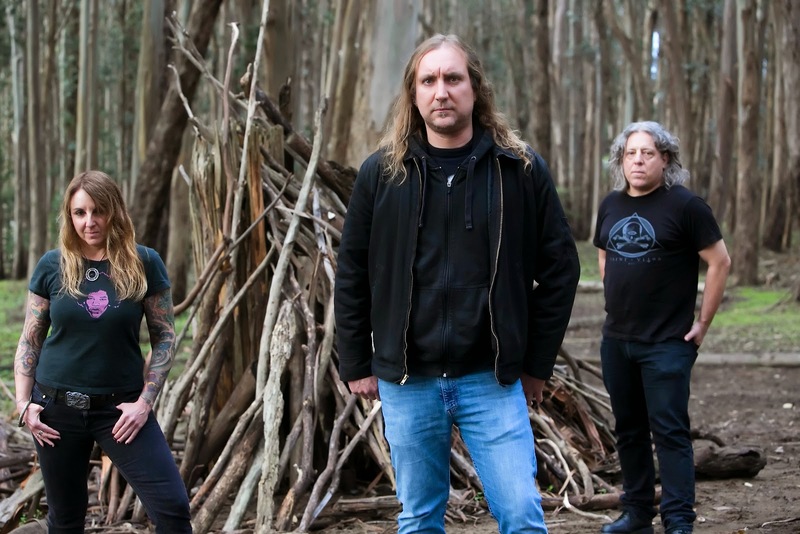 SAN FRANCISCO, Feb. 25, 2015 – Acid King premiere the first music to be heard from the forthcoming album, Middle of Nowhere, Center of Everywhere, with the song “Red River” streaming via Decibel Magazine (http://www.decibelmagazine.com/featured/track-premiere-acid-king-red-river/). Pre-orders for the vinyl version of the eight-track outing are available now via The Omega Order (http://www.theomegaorder.com/ACID-KING-Middle-Of-Nowhere-Center-Of-Everywhere-Blue-2LP). Middle of Nowhere, Center of Everywhere was recorded at both Sharkbite and Tiny Telephone Studios in San Francisco, mixed at Different Fur Studios and produced by Acid King and Billy Anderson. Famed tattoo artist Tim Lehi (High on Fire, Earthless) designed the cover art for the new album.